A minibus carrying pupils from a high school near Burton-on-Trent has collided with a lorry. The Year 9 and Year 12 pupils from John Taylor High School in Barton-under-Needwood were on an art trip when the accident happened this morning. The ambulance service said there were "multiple patients" from the bus. 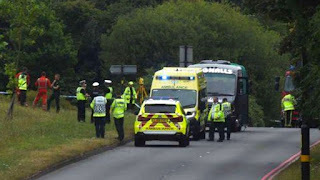 "Crews arrived on scene to discover a collision between a minibus and a lorry," a West Midlands Ambulance Service spokesman said. 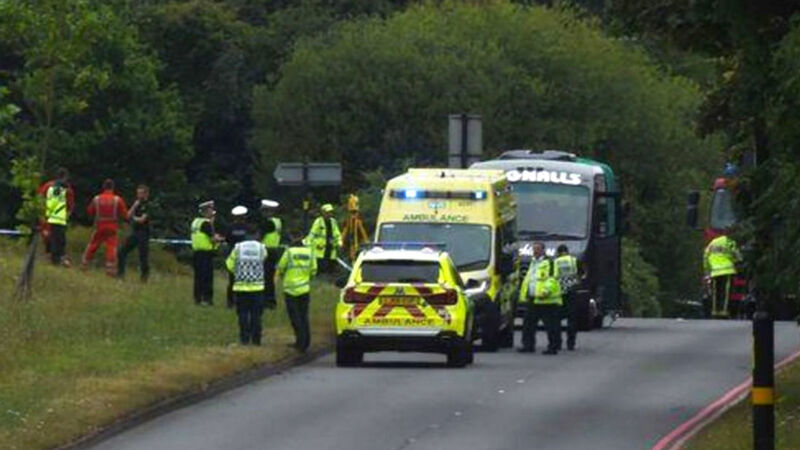 "Ambulance staff assessed multiple patients from the minibus at the scene, together with the lorry driver." A green tarpaulin has been placed over the side windows of the bus. A Birmingham Mail reporter at the scene said the other vehicle involved in the crash was a bin lorry. Alex Jeffers, 19, said he heard a loud bang as he was crossing the road. "I turned around and I saw a lot of dust go up in the air and a lot of glass shattered and metal from the lorry on the roadway by the bus stop," he told the Birmingham Mail. "Both the lorry and the minibus came to a stop. I went over to the minibus to see if there was anything I could do." West Midlands Police confirmed emergency services were at the "serious collision" on the A38 Kingsbury Road in Castle Vale. In a statement, the school said: "We are working to support those directly affected. More information will be provided via the school website." Local MP Jack Dromey said: "I am shocked to hear of a serious accident on the Kingsbury Road. Our thoughts and prayers are with those involved."